Shadow Wolf Mysteries: Bane of the Family is a nice sequel of the Shadow Wolf Mysteries series. You will have to deal with wolves again. The game is quite dark and creepy, but with great production value. You will have to work hard in order to find your way through the game and get all the extras that are there. You will have to return to the De la Fer estate to help the count unravel the curse that has been passed down through his family in Shadow Wolf Mysteries: Bane of the Family! You are also going to track down an all new werewolf that is wreaking havoc on the town and break the curse and save the family. The game tell its story very well with all the beautiful graphics and animated parts and neat voice over. The game features three kinds of tasks for you. 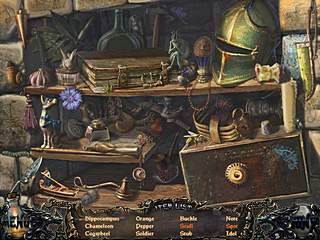 The hidden object levels, adventure quests, and mini-games along the way. All of the parts of the game are very enjoyable to play whether for the new to this genre or for those who know the hiddne object adventure puzzles games very well. This is Shadow Wolf Mysteries: Bane of the Family review. Download this game here.